When I think back to my wedding day, I still remember it as one of the best days of my life. It was everything I envisioned wanting at the time. It was intimate, outdoors, largely DIY and very true to us. But if I were to plan a wedding all over again (I’d still marry the same guy) there are a few things I would do differently! Especially if we are talking “dream” wedding here! Ironically, my husband and I both grew up visiting our grandparents cabins in wisconsin every summer as kids. Him being from Minnesota, and me from California. As fate would have it, we met 15 years later in San Diego and bonded over our mutual love for the northwoods of Wisconsin. For both of us, that place holds so many wonderful memories. I’ve always thought that getting married by the lake amidst all the tall trees that grew up with us over the years would be pretty special. Even re-living some of those childhood memories we share. A simple setting, yet unexpectedly beautiful. So with that, here is a taste of my dream wedding in the woods. 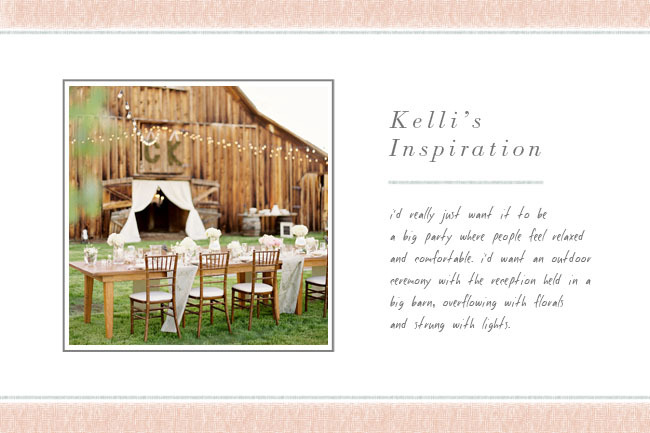 vibe for your wedding + reception: I’d really just want it to be a big party where people feel relaxed and comfortable. I’d want an outdoor ceremony with the reception held in a big barn…overflowing with florals and strung with lights. the invites: The invites below would be pretty perfect – but I would definitely design something original myself. current fashion/interior design/art trends you’d incorporate: Floral crowns for all of my bridesmaids who would wear different, but coordinating dresses. Lights and buntings strung along the trees. Rustic farmhouse style tables at the reception with vintage linens and tons of florals and glass jars. Gold flatware. I’d want to include some woodsy elements as well to tie in with the location: antlers, branches, birch wood. on the menu: food served family style: wine braised beef short ribs, slow roasted wild salmon, heirloom arugula salad, smashed fingerling potatoes, macaroni and cheese…I could keep going but i’ll stop :) 2 signature cocktails – an old fashion and a moscow mule (in copper cups of course) and dessert would be homemade pies and apple crisp! And outside, a bonfire and s’mores. any fun activities at the reception? 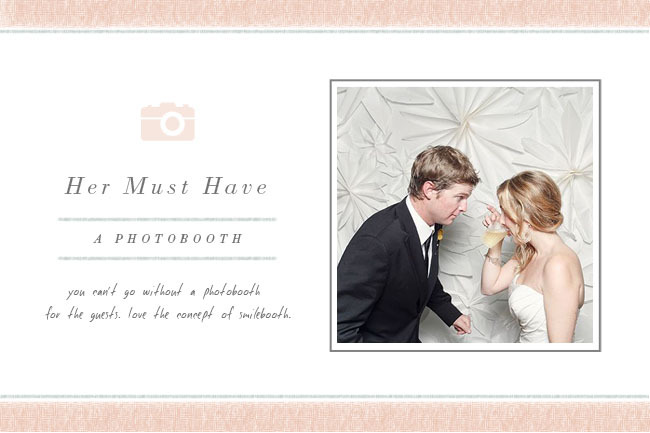 A good DJ and a huge dance floor :) And, you can’t go without a photobooth for the guests. Love the concept of smilebooth. Whoa… your dream wedding was my wedding! So much fun being a part of this Jen! Thanks for letting me dream :) And I can’t WAIT to see Sienna’s nursery!! So much love. xo. I absolutely love this post! 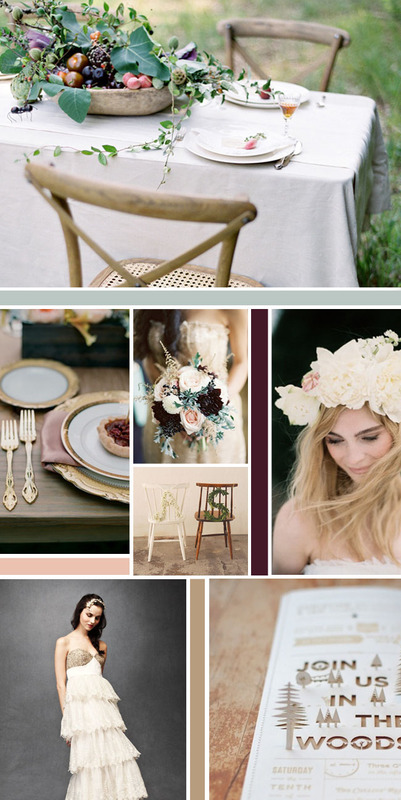 I think it’s so fun to brainstorm all the amazing ideas you want for your big day! Plus, I couldn’t agree more that the more DIY projects you do for the wedding, the more personal it feels to your guests! LOVE this post — thanks for sharing! Gorgeous ideas! Very rustic, romantic, beautiful. I love the idea of re-imagining your wedding years later, might even be a fantastic party idea for your 10year anniversary!